We are the designers and manufacturers of high performance silent hydraulic three screw pumps and the inventors of the Continuum® technology. 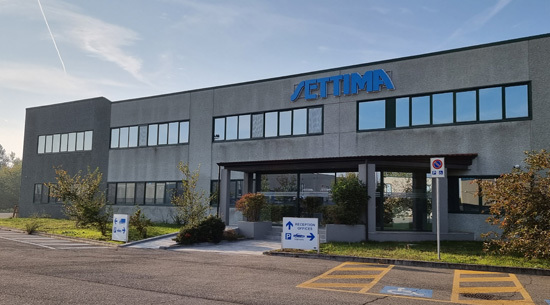 Settima Meccanica was established in 1978, with the aim of producing high technology three screw pumps for the lift & elevators industry, capable of minimizing noise emissions and pulsations in hydraulic circuits. Over time our continuous attention to customer needs has led us to gain experience in various fields, increasing our product portfolio and becoming the leading manufacturer of no noise pumps, both for low & high pressure applications. In 2001 we invented a new range of helical rotor external gear pumps which became famous with the trademark Continuum®, the first NO NOISE and NO VIBRATIONS pump for high pressure and high speed applications. Its revolutionary concept is internationally patented. The Continuum® pump soon became the benchmark in key industrial and mobile applications. High precision machining is the heart of Settima production system. A network of selected and qualified suppliers, all ISO 9002 certified, ensures the optimal flow of materials and constant support. Product reliability is guaranteed by innovative equipment and procedures for quality control. The engineering department, equipped with cutting-edge design tools, allows the company to develop special projects and customized solutions. Our market knowledge, our attention to detail, our employees' development are the key factors of our growth. 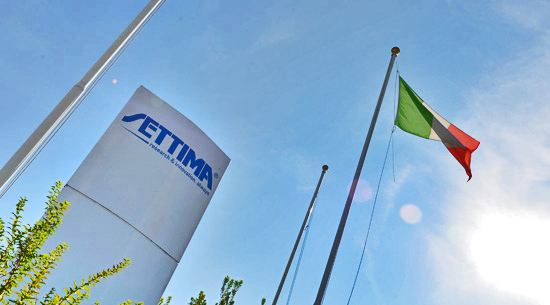 Experience, competence and maximum dialogue for custom solutions make Settima a dynamic company with unique capabilities in the hydraulic sector, able to renew itself and look to new and more demanding applications.